We maintain a number of HVAC systems ranging from the very simple commercial setup to the very complex industrial configurations. Our size and experience have made us the first choice of building managers and facilities managers throughout the state. 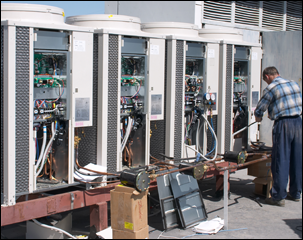 Our HVAC clients include municipalities, casinos and large commercial operations.